Celebrate Earth Day with these 10 images of Earth from space. NASA’s Lunar Orbiter 1 took the first photograph of Earth as seen from the vicinity of the moon, in 1966. Forty-two years later, NASA released this much higher-resolution version reprocessed from the original analog data tapes. Image via NASA/LOIRP. Voyager famously captured two unique views of our home world from afar. 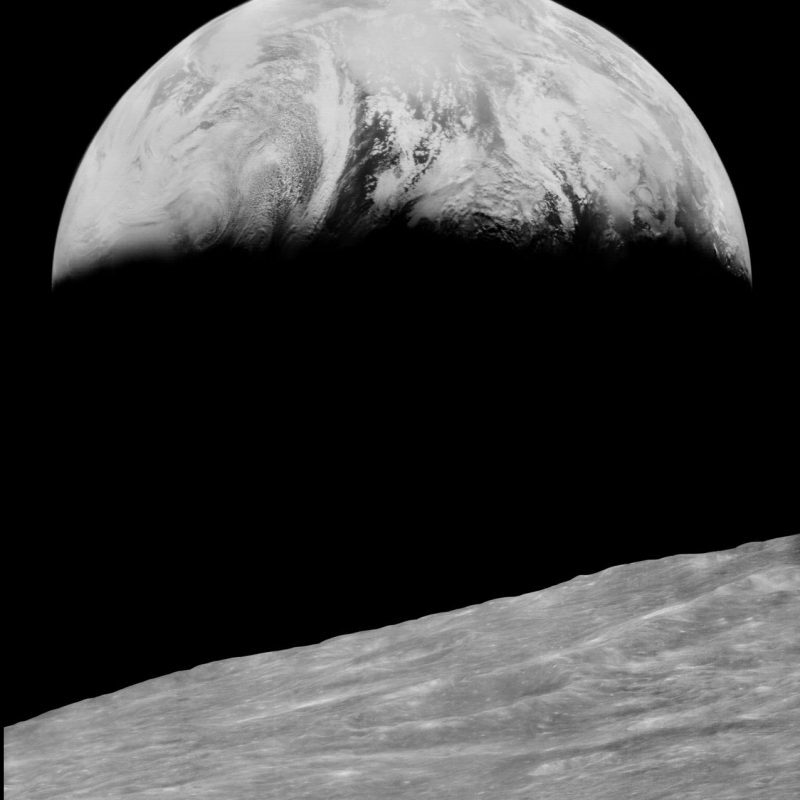 The upper image, taken in 1977 from a distance of 7.3 million miles (11.7 million km), showed the full Earth and full moon in a single frame for the first time in history. 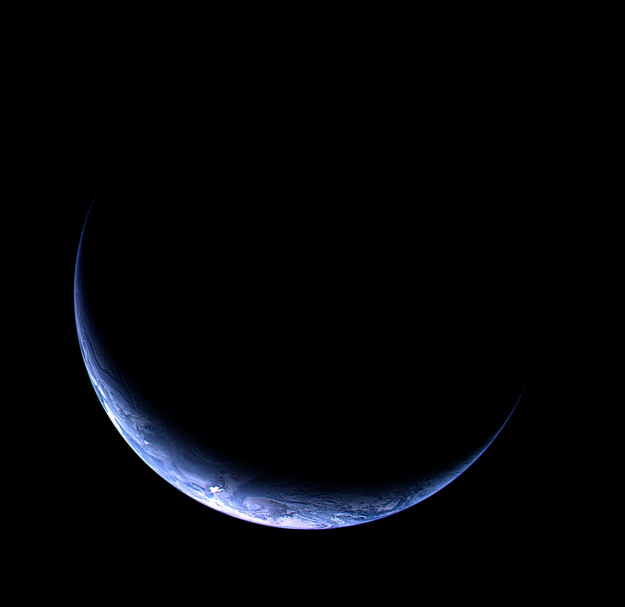 The second image, taken in 1990 as part of a family portrait of our solar system from 4 billion miles (6.4 billion km), shows Earth as a tiny blue speck in a ray of sunlight. 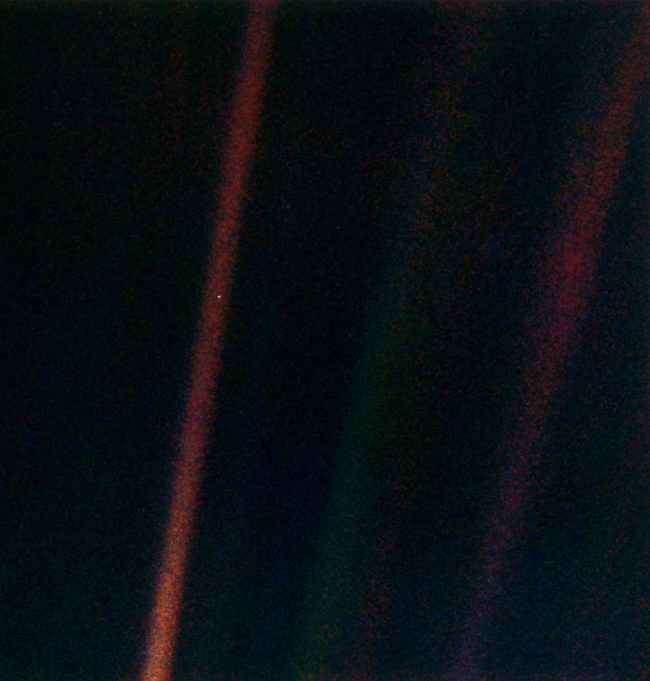 This is the famous “Pale Blue Dot” image immortalized by Carl Sagan. This was our willingness to see the Earth as a one-pixel object in a far greater cosmos. It’s that humility that science gives us. That weans us from our childhood need to be the center of things. And Voyager gave us that image of the Earth that is so heart tugging because you can’t look at that image and not think of how fragile, how fragile our world is. How much we have in common with everyone with whom we share it; our relationship, our relatedness, to everyone on this tiny pixel. Kepler view of Earth captured on Decembr 10, 2017. Image via NASA/Ames Research Center. NASA’s Kepler mission captured Earth’s image as it slipped past at a distance of 94 million miles (151 million km). The reflection was so extraordinarily bright that it created a saber-like saturation bleed across the instrument’s sensors, obscuring the neighboring moon. Right, Cassini’s view in 2013. Left, a final look between the rings in 2017. Image via NASA. 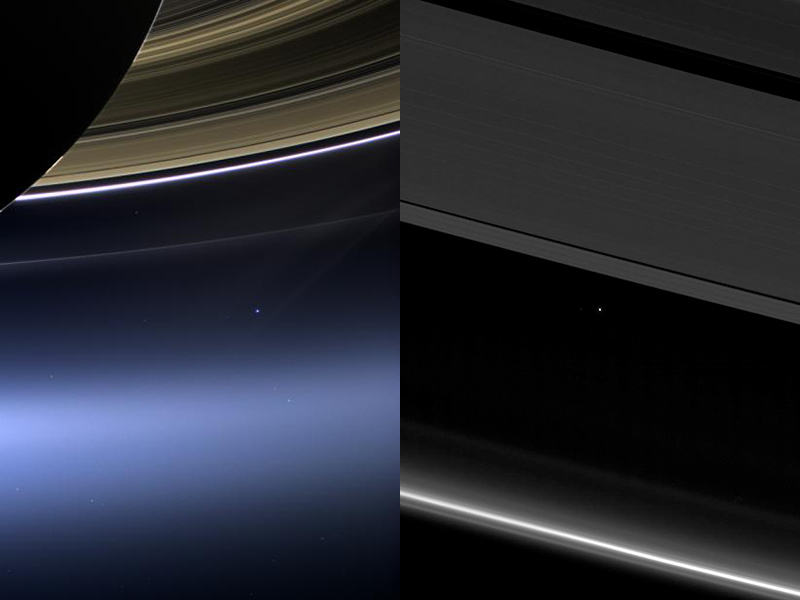 This beautiful shot of Earth as a dot beneath Saturn’s rings was taken in 2013 as thousands of humans on Earth waved at the exact moment the Cassini spacecraft pointed its cameras at our home world. Then, in 2017, Cassini caught this final view of Earth between Saturn’s rings as the spacecraft spiraled in for its Grand Finale at Saturn. NASA’s Lunar Reconnaissance Orbiter (LRO) captured a unique view of Earth from the spacecraft’s vantage point in orbit around the moon on October 12, 2015. Image via NASA/Goddard/Arizona State University. The image is simply stunning. The image of the Earth evokes the famous “Blue Marble” image taken by astronaut Harrison Schmitt during Apollo 17 … which also showed Africa prominently in the picture. -Noah Petro, Deputy Project Scientist for NASA’s Lunar Reconnaissance Orbiter mission. 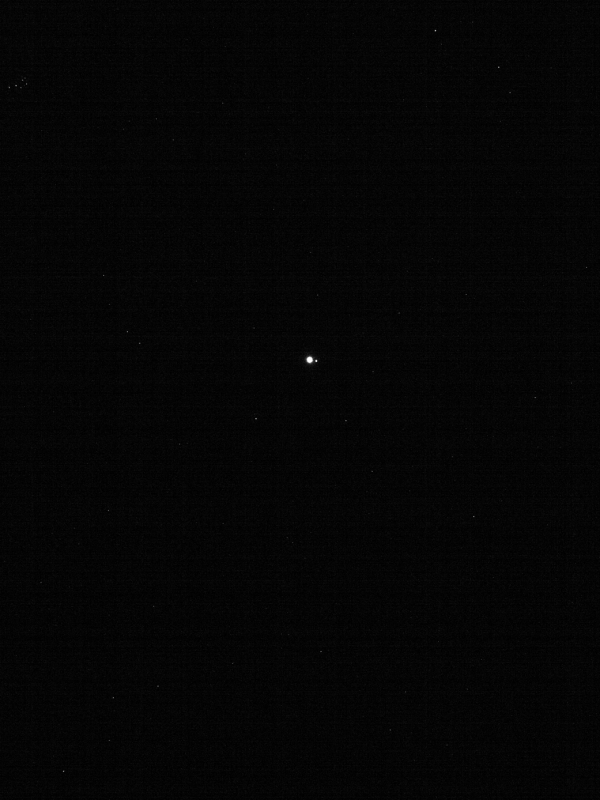 As part of an engineering test, NASA’s OSIRIS-REx spacecraft captured this image of the Earth and moon. Image via NASA. 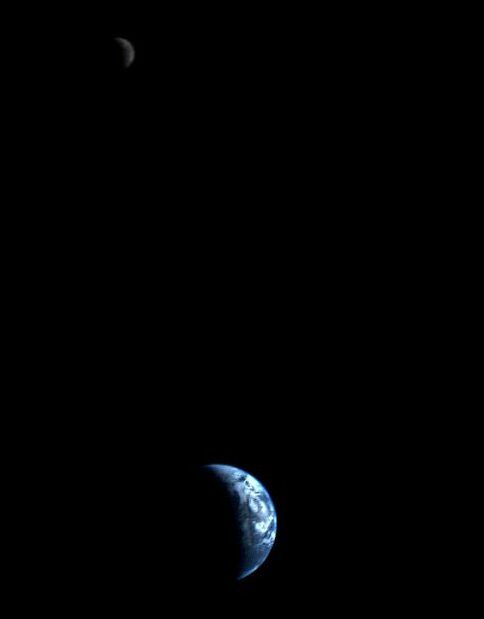 As part of an engineering test, NASA’s OSIRIS-REx spacecraft captured this image of Earth and the moon in January 2018 from a distance of 39.5 million miles (63.6 million km). When the camera acquired the image, the spacecraft was moving away from our home planet at a speed of 19,000 miles per hour (8.5 km per second). 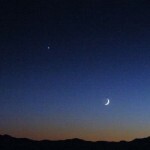 Earth is the largest, brightest spot in the center of the image, with the smaller, dimmer moon appearing to the right. Several constellations are also visible in the surrounding space. 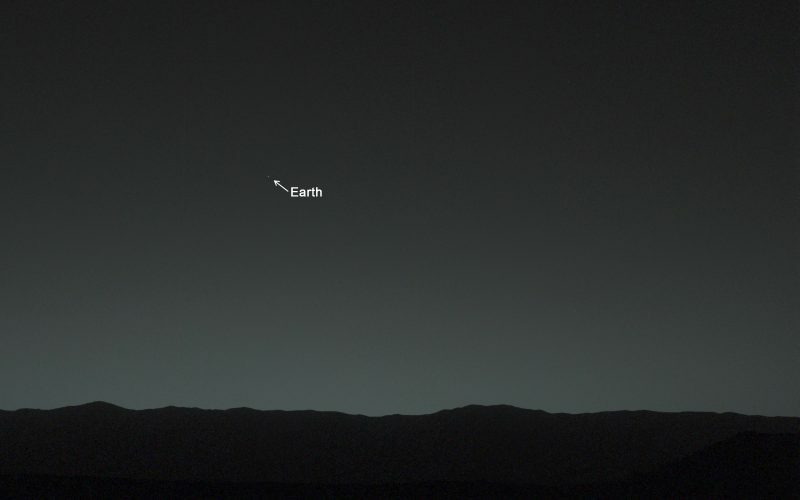 This view of the twilight sky and Martian horizon taken by NASA’s Curiosity Mars rover includes Earth as the brightest point of light in the night sky. Image via NASA/JPL-Caltech/MSSS/TAMU. 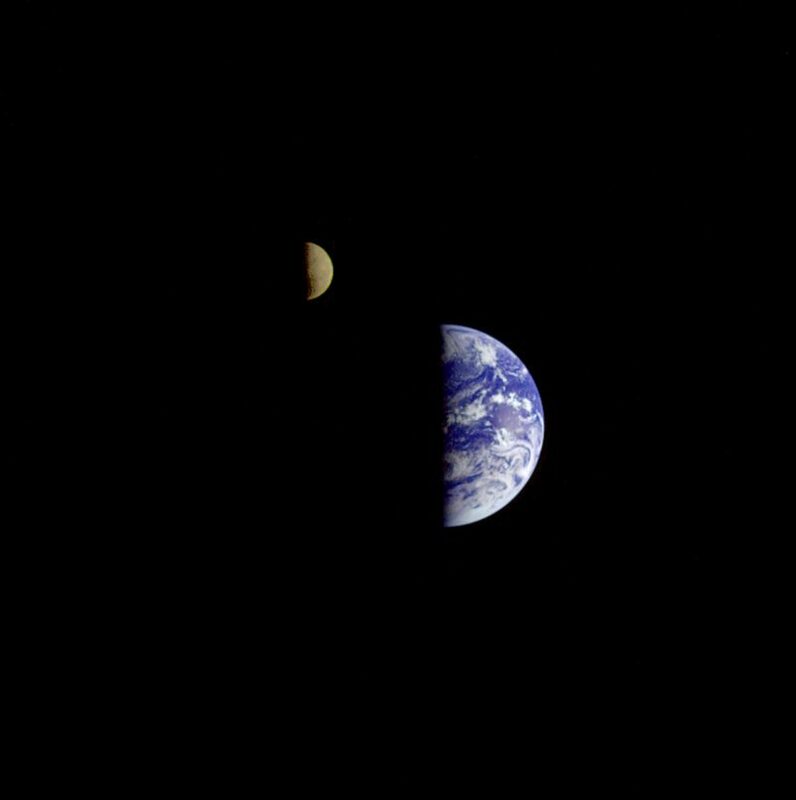 Earth and moon from a million miles out. Image via NASA/NOAA. 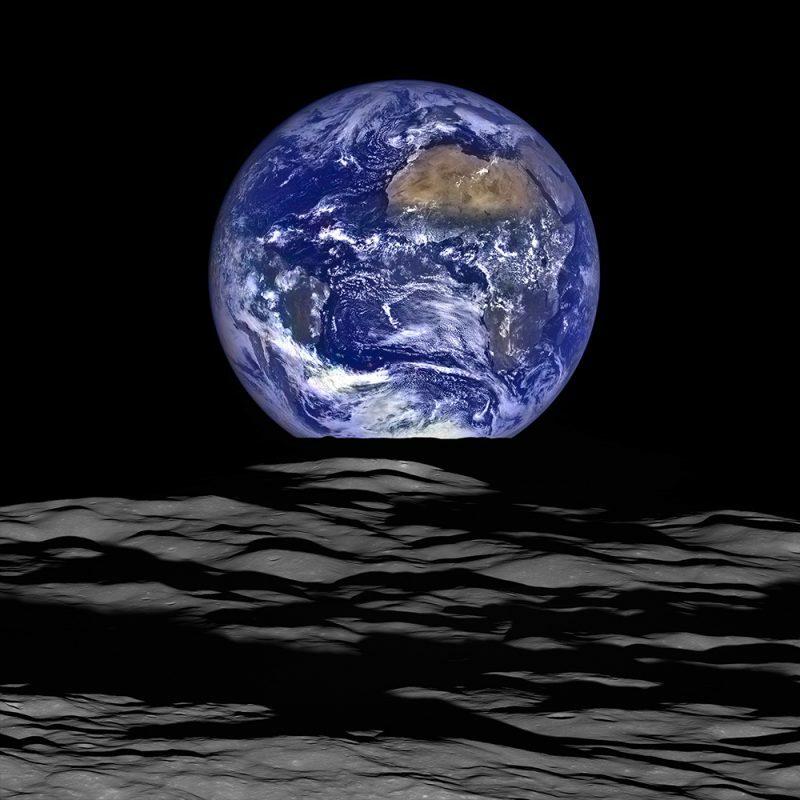 This image from the Deep Space Climate Observatory (DSCOVR) satellite captured a unique view of the moon as it moved in front of the sunlit side of Earth in 2015. It provides a view of the far side of the moon, which is never directly visible to us here on Earth. I found this perspective profoundly moving and only through our satellite views could this have been shared. 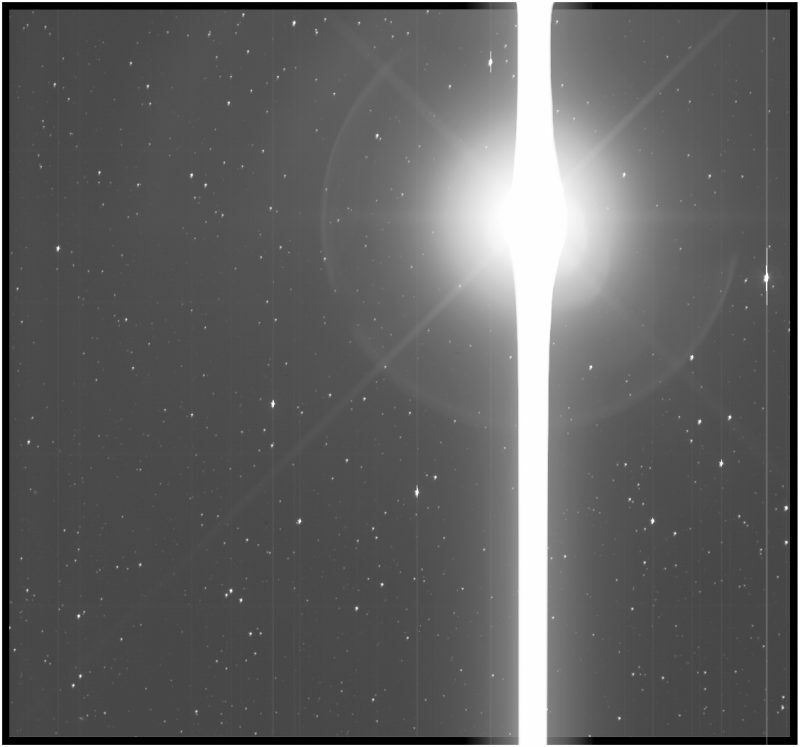 The Galileo spacecraft’s view as it departed Earth. Image via NASA. Eight days after its final encounter with Earth – the second of two gravitational assists from Earth that helped boost the spacecraft to Jupiter – the Galileo spacecraft looked back and captured this remarkable view of our planet and its moon. The image was taken from a distance of about 3.9 million miles (6.2 million km). Rosetta’s view of Earth. Image via ESA ©2009 MPS for OSIRIS Team MPS/UPD/LAM/IAA/RSSD/INTA/UPM/DASP/IDA. Earth from about 393,000 miles (633,000 km) away, as seen by the European Space Agency’s comet-bound Rosetta spacecraft during its third and final swing-by of our home planet in 2009. MESSENGER’s view departing Earth. Image via NASA/Johns Hopkins University Applied Physics Laboratory/Carnegie Institution of Washington. The Mercury-bound MESSENGER spacecraft captured several stunning images of Earth during a gravity assist swing-by of its home planet on August 2, 2005. Bottom line: Ten images of Earth from space.